It has been said many times before that the youth are the key to the development of any nation. In order to ensure that the steps taken by the country towards sustainable development, it is of paramount importance that the youth are aware of the various challenges we currently face. Many scientists, intellectuals and thinkers now believe that a country can be called truly developed if it incorporates the principles of sustainable development i.e. development of the present generation without undermining the ability of the future generation to meet their own needs. The United Nations Framework Convention on Climate Change (UNFCCC), in order to combat the challenge of climate change and growing inequalities ratified the Sustainable Development Goals (SDG) in its 21st Conference of Parties held in Paris, 2015. In the light to guide the present generation towards SDGs and the growing challenges caused due to climate change around the world, “Climate Jamboree” was organised by TERI School of Advanced Studies (TERI SAS) in association with Dalmia Cement at Thyagraj stadium (New Delhi) from 1st to 3rd November 2018. The event saw an overall footfall of around 4000-6000 students from Delhi-NCR (India) region. SDSN-Youth, South Asia Network had joined hands with TERI School of Advanced Studies and set up an informative stall and a gaming zone at the mega event. The highlight of the exposure stall was to spread the awareness of the SDGs and the different steps taken by the UN to promote sustainability amongst different groups of people, societies, communities and the world at large. The stall had a small game of pinning the SDGs and a pledge flex “We the Sustainable Warriors”, in which both students and intellectuals from diverse background and fields shared their thoughts, ideas, aspirations and dreams to combat climate change and sustainable development. It was a platform even for the South Asia Team to learn and interact with different minds and people from diverse school of thoughts to gather extensive knowledge and impart the same to every individual present in the forum. The major attraction was the gaming zone, wherein, the “Go Goals-Human Slides and Ladder game” was printed on a huge flex. It was a massive hit amongst the school children who got to learn about different SDGs and their objectives in a fun-filled game, while bringing out their competitiveness, team work and helped in establishing eye opening and raw truth about the issues and problems faced by different communities throughout the world and, also about their country too. Needless to say, among the total turnout of Climate Jamboree, SDSN-Y stall and gaming zone had the lion’s share for all the three consecutive days. It was thanks to the team’s untiring diligence and dedication that they were able to handle such a huge crowd for all the three days. The event saw the presence of esteemed intellectuals and scientists. Among the many few the real connect and necessity to talk on the theme of current climate change patterns, scientist and Professor Dr. Johan Rockstorm and, oceanographer and climatologist Dr. Stefan Rahmstorf spoke about the science behind climate change and how the changes are going to impact the world functioning systems. They elaborated the understanding of the earth working mechanics and climate, and with the anthropogenic pressure pushing through the various ecosystem services, atmosphere and climate. They discussed and clarified questions put forward by students on how the changes in climate can be altered or what are the ways to bring back the state of atmospheric equilibrium to battle these issues. The closing of the three-day event had the presence of the mesmerising Aao Naga Choir rocking their way through everyone’s heart and mind with their environment synced songs carrying the audience along and giving it a lasting memory at the end with Bollywood fusion songs. Raeesha Rahman is a wildlife enthusiast with Masters in GIS and Remote Sensing. She is currently pursuing Masters in Environmental studies from TERI School of Advanced Studies (TERI SAS), where she is a part of Core team of UN SDSN-Y (TERI SAS). She aspires to work in the field of Climate Change, Wildlife Biodiversity and Oceanic changes. 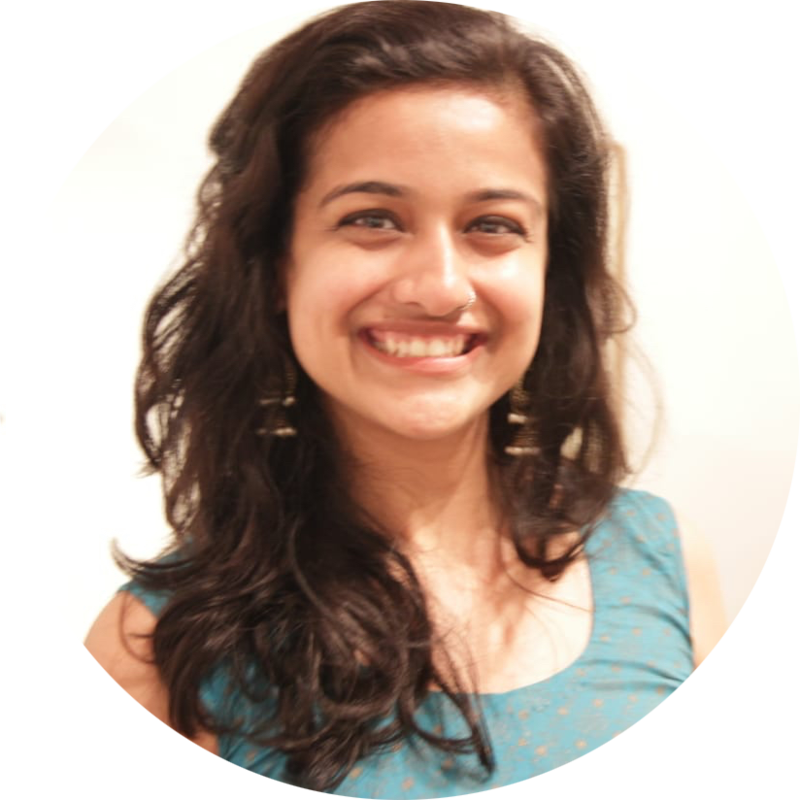 Aanchal Saxena is a final year student of Masters in Sustainable Development Practices at TERI-School of Advance Studies (TERI SAS) and is currently a core team member of the UN SDSN-Youth at TERI SAS (South Asia Network). With a commerce background, she has previously worked in Wildlife Conservation and is an environment enthusiast. She’s newly obsessed with waste management and searching for practical ways to encourage upcycle by people.